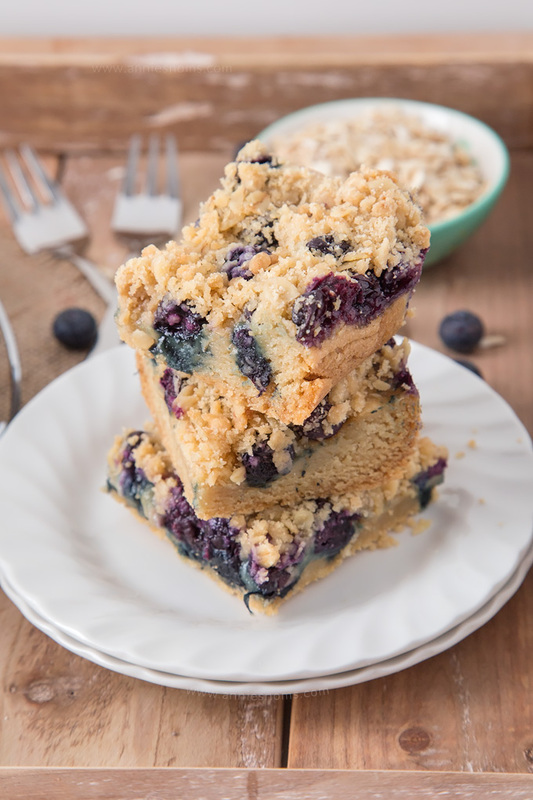 My Blueberry Sugar Cookie Bars are a combination of soft, chewy cookie, fresh blueberries and a crumbly, oat topping. Sweet, crunchy and juicy; these are out of this world good! Happy Thursday! 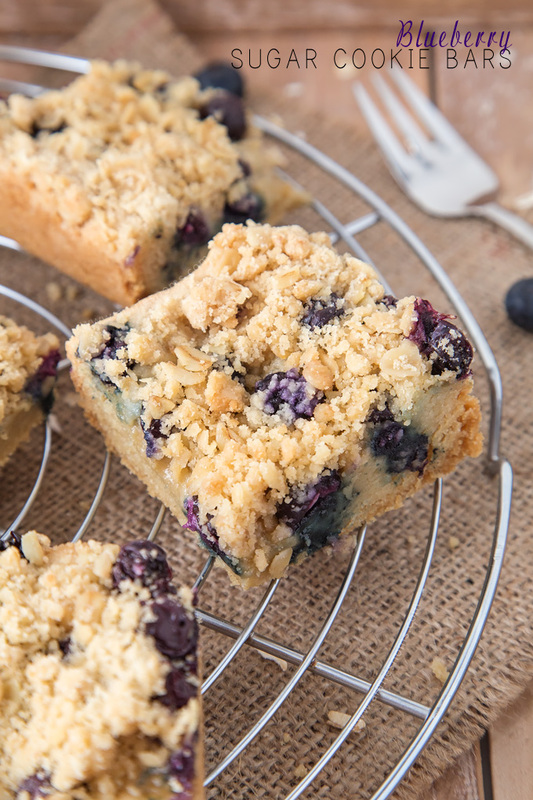 I have a simply amazing recipe for you today: Blueberry Sugar Cookie Bars!! 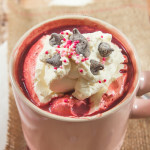 They are a bit of a hybrid dessert that I came up with a few weeks ago and couldn’t wait to make! 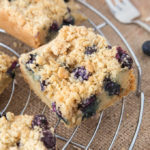 I started off with a thick layer of my favourite sugar cookie dough and then, after part baking it, added in a good helping of fresh blueberries, before sprinkling over an oaty, crumbly topping. The outcome? Out of this world good sugar cookie bars! When I originally thought about creating a blueberry bar, I was going to make a buttery, shortbread type base, then as I kept thinking about what bars I wanted to create, I started thinking how great it would be to make a sugar cookie base. I mean, a chewy, buttery vanilla cookie with a soft juicy centre and crunchy top? What could be better than all of those textures and flavours together?! I’ve recently fallen back in love with uncooked blueberries. I’m not sure if I had a few bad batches, but last year I was a bit “meh” as they didn’t really taste of anything. This year, I bought some for a recipe I was making for a client and when I tried them they were just amazing! Sweet, juicy and totally divine. I mean they tasted pretty good in smoothies and baked goods last year, but I wouldn’t find myself just snacking on them. Now, I’ve become obsessed with them! I have them on my morning porridge (oatmeal) with a little agave nectar, I’ve been snacking on them daily… and I’ve wanted to create a ton of recipes using them. 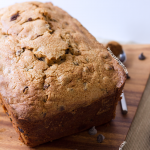 So, the first recipe I’m sharing with you is this one! The sugar cookie base is super easy to whip up with a mixer; there are only a few basic ingredients that I bet you already have. After the dough is ready, I tipped it into a greased and lined 8×8 inch square pan and pressed it into a level layer. I baked the base for 12 minutes until it was lightly golden and puffy, then I sprinkled 1 and 1/2 cups of fresh blueberries over the top, making sure to press some of them in to ensure plenty of layers! While the base baked I whipped up a quick oat crumble topping which is most definitely the cherry on the top of these sinful, yet delightful sugar cookie bars. Sometimes a girl just has to bake whatever comes into her head. Sometimes it’s a disaster. Other times, like this, they turn out to be the most amazing hybrid dessert ever. 😉 I hope you enjoy! Preheat the oven to 180C/350F and grease and line an 8x8 inch square pan. I use Wilton Bake Easy and grease proof paper. 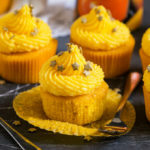 Place butter and sugar into a large bowl, or the bowl of your stand mixer and beat until light and fluffy, around 2 minutes on medium-high speed. 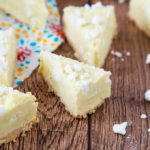 Add in the egg and vanilla extract, scraping down the sides as necessary, and mix until well combined and smooth; around 1 minute on medium-high speed. Add in the baking powder, soda, salt and flour and mix on low until the dough starts to pull away from the sides and comes together. Tip into your prepared pan and press into a level layer. I used the bottom of a measuring cup to ensure a smooth, level layer. Place in the oven for 10-12 minutes until risen, lightly golden and puffy. Whilst the base is baking; place oats, sugar, flour and butter into a medium sized bowl and rub together with your fingers until you have a coarse breadcrumb texture. Alternatively you can use a pastry blender to cut the butter into the flour. Leave to one side. Once the base is risen and golden, remove from the oven and then sprinkle the fresh blueberries all over the cookie dough. 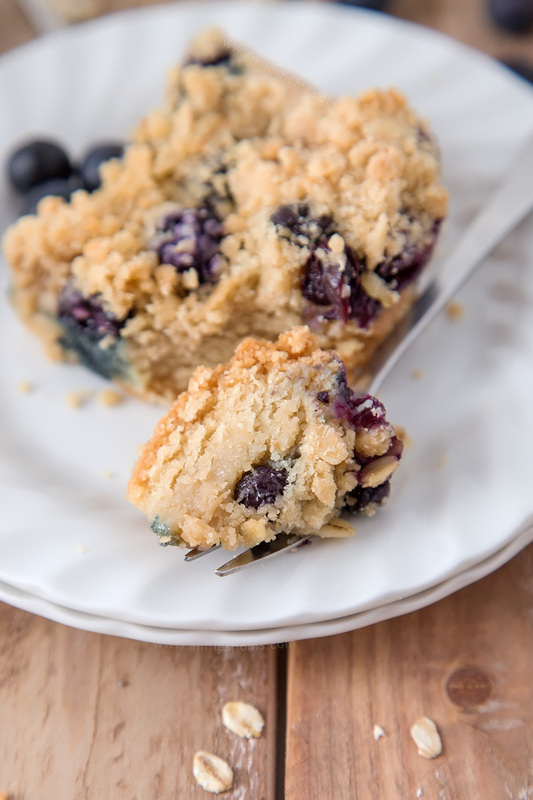 Lightly press with your hands, so that a few of the blueberries sink into the dough; make sure to leave plenty sitting on the top too! 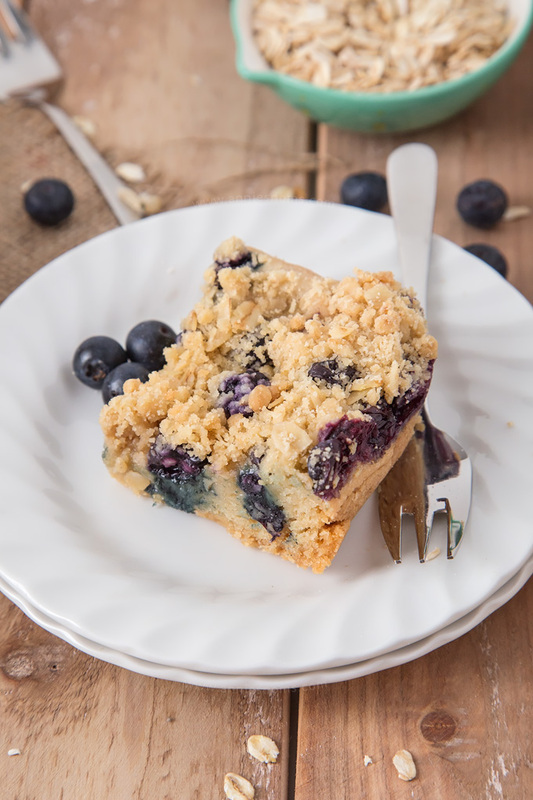 Sprinkle the crumble topping all over the blueberries, it's fine to have some blueberries peeking through the top of the crumble. Press down lightly on the crumb topping to help it stick to the dough. 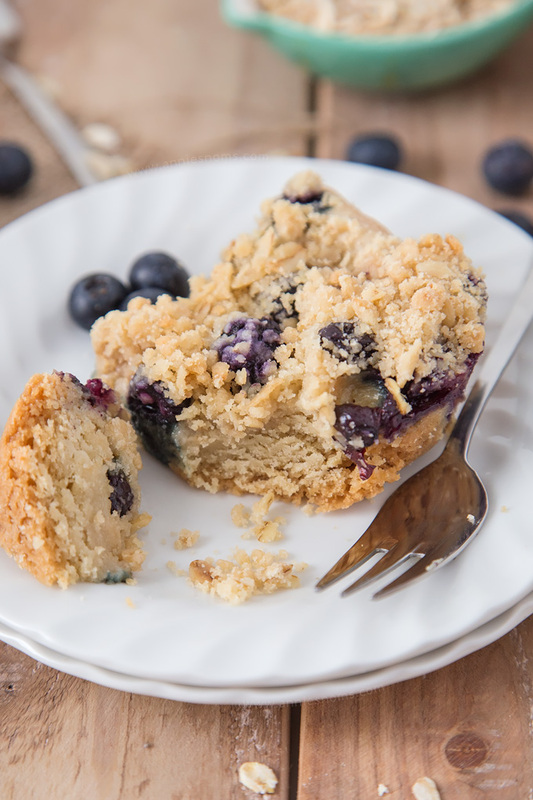 Place in the oven for 25-30 minutes until the blueberries are bubbling and the top is evenly golden. An inserted skewer into the centre should not have cookie dough on it when removed. Leave to cool completely in the pan, before transferring to a cutting board to slice into 9-12 slices. Blueberry Sugar Cookie Bars will keep in an airtight container, at room temperature for 3 days. Love the texture of these and how the blueberries peek out at you. I’d kill to have one of these bars right here, right now! These look like they have the perfect texture, and I just bought blueberries — score! Thank you! They really are the perfect combination of crumbly, chewy and soft! These cookie bars look so scrumptious, Annie! The blueberries make them extra pretty! GENIUS. These look SO good and I need one right now! I was just thinking how I wanted something sweet. I think these will hit the spot. Thank you for sharing at Merry Monday! !